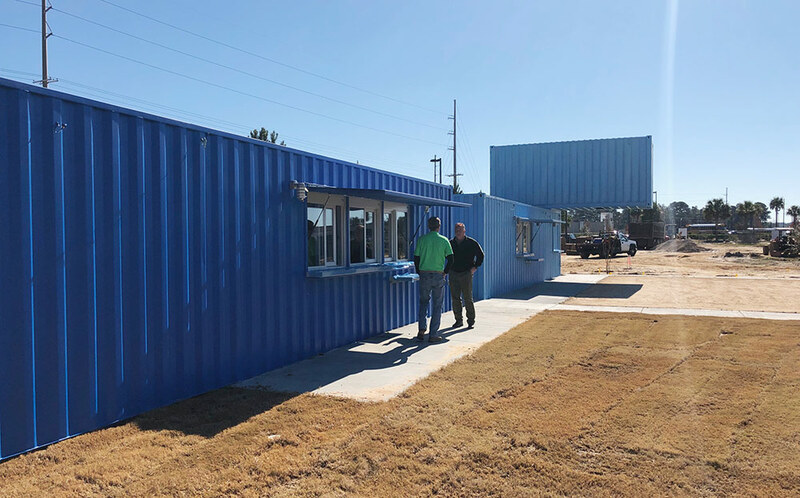 Congratulations to Angie McArthur & Jeff Barnes, leasing agents with Stirling Properties, on the launch of the new container park in Spanish Fort Town Center! Stirling Properties is so excited, we can’t CONTAIN it! The Fort, a new container park coming to Spanish Fort Town Center, is 100% leased and on-track to open in December. An official opening date and grand opening festivities will be announced soon. 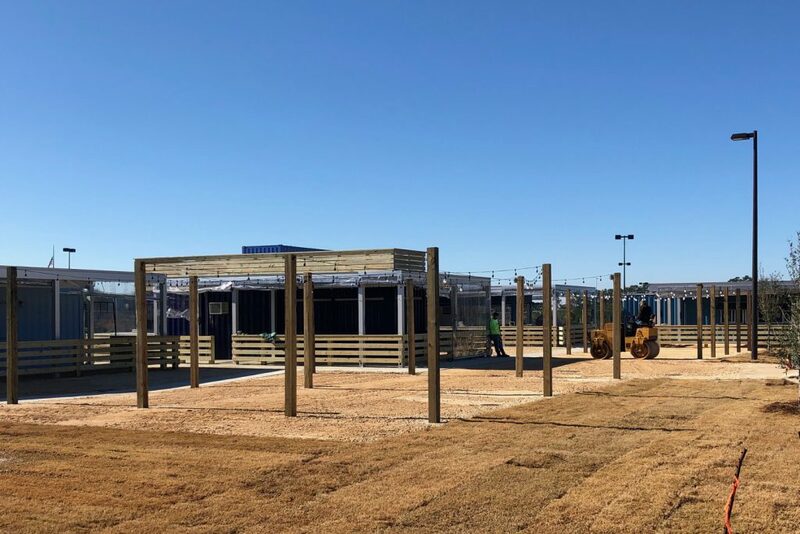 Upon completion, The Fort will consist of approximately eight shipping containers that will be repurposed and transformed into functioning restaurants and shops, and will share a common open-air environment where patrons can sit and dine. 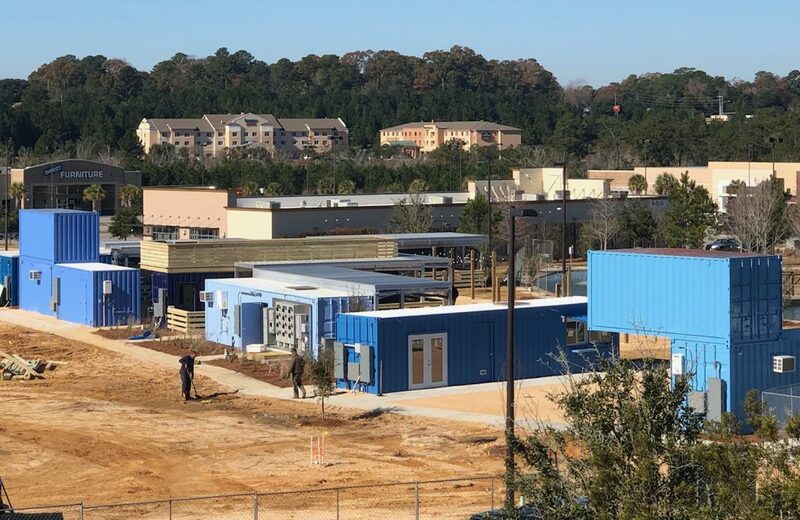 All tenants in the container park have been secured, including Beakers Coffee/Sno Biz, Blues Burger, Deuce Coop, Dickey’s Barbeque Pit, Dragonfly Taco Bar, Happy Pizza, Soul Bowlz, and Tap Station. There will also be a retailer on-site stocked with “The Fort” official merchandise. Last month, The Spanish Fort City Council approved the new development as an entertainment district, allowing patrons over the age of 21 to openly carry alcoholic beverages outdoors. This is a significant designation for The Fort, making it easier for visitors to move freely through the shared space of restaurants and shops. Property owners, Dallas-based Cypress Equities, broke ground on the container park in September and the containers arrived on site in October. The Fort was initially expected to open in November of 2018, but construction delays due to inclement weather have pushed the opening back to December. Angie McArthur, Broker Associate, and Jeff Barnes, Senior Investment Advisor/Broker Associate with Stirling Properties, serve as the leasing team for Cypress Equities and have been working with the overall Spanish Fort Town Center project since 2015. Over the last year, Stirling Properties has helped to successfully secure more than 44,000 square feet of new leases for the retail center, adding Urban Air Trampoline and Adventure Park, Beauty World (currently under construction next to Kohl’s), Direct Furniture, Oishi Japanese Bar & Grill, and Tots2Teens Fun Salon to the diverse tenant lineup. McArthur and Barnes are also currently in negotiations with various retailers that will add another 30,000 square feet of shopping and dining options to the center. In conjunction with the new container park, Spanish Fort Town Center is also launching “The Village,” a unique boutique retail concept that will consist of small and specialty shops such as food options, fitness providers, clothing, gifts, candles, accessories, and salon services. Spanish Fort Village will deliver a pedestrian- and family-friendly, urban environment unlike anything else in the market area. Leasing for space is currently underway. These units are located across from Urban Air Trampoline and Adventure Park and The Fort. Tommy, You can check out Spanish Fort Town Center’s latest update on The Fort here: https://spanishforttowncenter.com/about_us/press_room/view?id=14.